© IMAGES.COM/CORBISWhen Anne Bassett told colleagues in the late 1980s that she was planning to study the genetics of schizophrenia, they winced. “People thought I was going into a field without a lot of promise,” she says. To some degree those people were right. Schizophrenia seemed to have an inherited component, because it was known to run in families, yet no one seemed to be able to find its genetic roots. Even as DNA sequencing technologies advanced, and genes associated with Huntington’s disease, cystic fibrosis, and other inherited disorders were identified, schizophrenia researchers were coming up empty-handed. In fact, according to recent genome-wide association studies (GWAS), schizophrenia and the related bipolar disorder may actually be the most genetically complex neurological disorders plaguing humans. Over the last five years, large-scale GWAS have identified a handful of alleles associated with a risk of developing schizophrenia and/or bipolar disorder, but each accounts for only a very small percentage of the risk. For every risk allele identified, there may be 1,000 more pieces of the genetic puzzle that are still missing, not to mention the environmental factors thought to significantly contribute to each disorder. “Now we’re moving,” agrees Bassett, currently director of clinical genetics at the Centre for Addiction and Mental Health in Toronto. Despite the dire predictions of her naysayers, she has identified numerous novel schizophrenia risk alleles—and other researchers are confirming the findings. “For the first time, we’re starting to see serious, compelling replication of results within our field,” she says. 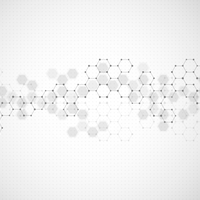 In 2005, University of California, San Diego, researcher Jonathan Sebat was eager to start using a new genome-wide screening method called a microarray. It employs tiny spots of DNA attached to a solid surface as probes to detect genetic sequences. At the time, sequencing of individual mutations, or single nucleotide polymorphisms (SNPs), was very difficult to do with a microarray, so Sebat decided to search for copy number variants (CNV), or genome “hiccups,” in which a chunk of DNA is copied numerous times. Though CNVs had not been explicitly linked to disease at the time, Sebat suspected they might underlie disease susceptibility in schizophrenia. “You can’t escape the heterogeneity, but you can grapple with it,” says Sebat. 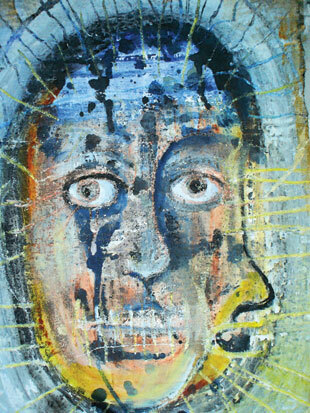 There have long been two theories of the genetic cause of schizophrenia. Some, like Sebat, have argued that the disorder is caused by a few mutations, each with a strong effect, that are unique to each patient. Other researchers have suggested that the disorder results from a crowd of common variants shared among patients, each with a subtle effect. Today, the data are pointing toward the latter. The most common of the CNVs associated with schizophrenia is a 1.5- to 3-megabase deletion on chromosome 22 in a region of the genome that normally contains 30 to 40 genes, many of which are not well characterized. 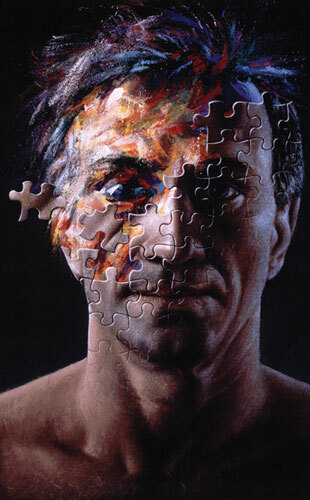 Approximately 25 percent of people with this mutation exhibit psychosis, but the deletion, called 22q11.2, is found in only 1 percent of schizophrenia cases. Despite this low proportion, however, no other genetic mutation has been found that accounts for a greater share of the risk than this particular deletion. Most mutations that are associated with schizophrenia are found in fewer than 1 in 1,000 patients, and those are still the low-hanging fruit, says Sebat. There are probably many more mutations that contribute to the disease, but they’re found at far lower frequencies—on the order of 1 in every 30,000 cases. View full size JPG | PDF© GEOPAUL, © MARTYNOWI_CZ/ISTOCKPHOTO.COMIn spite of the vast unknowns still hanging over the field, theories about the molecular cause of schizophrenia do exist—though the evidence for each is weak and conflicting. 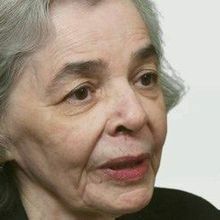 One, the glutamate hypothesis, first proposed in 1980, posits that schizophrenia is caused by dysfunctional glutamate receptors, yet agonists of the receptors have repeatedly failed to treat the disorder. Another is the dopamine theory, which holds that the disease is caused by disturbed dopamine signaling. There is evidence both for and against this idea, but most researchers agree that it is an incomplete explanation at best. More recently, two other possibilities have arisen from genetic studies. One, championed by Ronald Yeo and Steven Gangestad at the University of New Mexico, is the idea that schizophrenia is partly caused by developmental instability—that individuals with schizophrenia lack the repair mechanisms that typically jump into action when something perturbs the brain during development. Numerous studies support this theory. In a study the duo published last year, for example, 79 individuals with schizophrenia and 110 controls had similar numbers—about 10 to 12—of randomly distributed, large deletions in their genomes. Strangely, that deletion burden was correlated with lower cognitive ability in people with schizophrenia but not in controls.2 The finding implies that healthy individuals can withstand certain deletion mutations without symptoms, but individuals with schizophrenia cannot. Kafui Dzirasa awkwardly balances a thin slip of metal between his pointer finger and thumb. Delicate hairlike fibers protrude from one side of the microchip, and Dzirasa, a psychiatrist and neuroscientist at Duke University in Durham, North Carolina, strokes these with his other hand. An anxious young technician stands next to Dzirasa, his eyes glued to the fragile piece of technology. “Everyone’s super nervous I’m going to break something,” says Dzirasa with a laugh, as he flips the chip upside down to show it off. A room away, two small black mice scurry around in a cage. The mice wear similar microchips as hats, but now the hair-like probes aren’t visible. Instead, they are embedded in the mice’s pea-sized brains. The probes are measuring, in real time, electrical signals from 16 areas, attempting to detect electrical irregularities caused by genetic mutations engineered into the rodents to mimic symptoms of bipolar disorder. Bipolar disorder, also known as manic-depressive illness, is a psychiatric disease characterized by bouts of mania and depression. But, as with schizophrenia, different patients seldom present the same suite of symptoms: some show only mania and no depression; some have both; the mood alterations can be accompanied by signs of psychosis, or not. As in schizophrenia, genetic heterogeneity appears to be the rule, rather than the exception. Researchers have yet to identify a single “bipolar gene.” During the 1990s, numerous genome screens of families affected with bipolar disorder, including an international collaboration examining 972 families, turned up no positive findings. Even initial GWAS failed to yield convincing results. Currently, about 10 genes have been robustly associated with bipolar risk, says Nick Craddock, director of the National Centre for Mental Health at Cardiff University in the United Kingdom. Most of these were found in the last five years. And it appears that in bipolar disorder, as in schizophrenia, much of the evidence implicates many common alleles, each with a small effect. In contrast to schizophrenia, however, there are no major structural changes in the genomes of bipolar patients, such as large deletions. 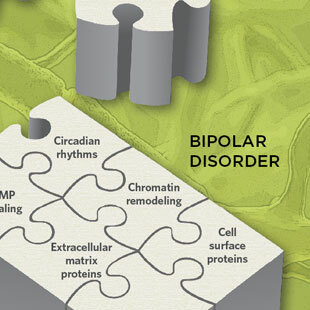 In 2011, the Bipolar Disorder Working Group of the Psychiatric Genomics Consortium performed the largest GWAS of bipolar disorder to date, which highlighted ODZ4, a gene encoding a cell-surface protein that may be involved in signaling, and NCAN, the gene for a brain-expressed extracellular matrix protein, as risk variants. 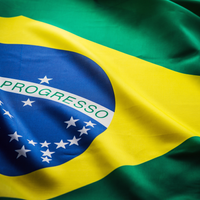 The study also identified CACNA1C, a gene that has also been implicated in schizophrenia and possibly the single strongest allele associated with bipolar risk. (See “Common Changes,” below.) But even the effect of CACNA1C is small, contributing about an 18 percent risk for bipolar disorder in carriers. With so few risk alleles identified, theories of what causes bipolar disorder are even sparser than those for schizophrenia. Schizophrenia is the poster child for psychiatric illnesses, and as such, it tends to receive more research dollars and attention than bipolar disorder. Additionally, patients with bipolar have episodic symptoms, so are not typically permanent residents in mental hospitals, where researchers tend to have easy access to patients with schizophrenia. As an alternative, many researchers, like Dzirasa, are applying genetic findings to mice, rather than people, to determine how these mutations lead to a psychotic phenotype. Dzirasa implants his microchips into mice with mutations in Clock to measure how the animals’ brains look different from those of healthy control animals. From that genetic basis, he has already uncovered an electrical biomarker by which the mutation may lead to psychiatric symptoms: in the nucleus accumbens, a part of the brain that plays a role in reward, two electrical signatures—including one linked to the amygdala, which processes fear and anxiety—are out of sync in bipolar animals. When the timing of these electrical impulses is disjointed in mice, so too is the balance between reward and anxiety. A schizophrenia microarray available in a doctor’s clinic is a far cry from Bassett’s early days in genetic research, when her colleagues thought there was nothing to be gained from studying the genetics of psychosis. “To actually be able to give an individual genetic result to a patient is astonishing, to have something actually to say to them,” says Bassett. But beyond sharing genetic results, there has been little effort to move genetic findings on schizophrenia and bipolar disorder into the clinic. Although drugs such as lithium for bipolar disorder and antipsychotics for schizophrenia have been the go-to treatments for decades, few doctors are happy with them. These nonspecific compounds can help relieve symptoms, but they also cause many undesirable side effects that cause patients to stop taking the drugs. With new genetic data, it’s time to reframe discussions and ideas for treating psychiatric illnesses, says Dzirasa. © HELENA WILSEN-SAUNDERS/GETTY IMAGESIn 1970, Scottish researchers identified a young criminal with a psychiatric disorder and a unique translocation on chromosome 1. Soon, they found the translocation was rampant in his family, as was severe mental illness. 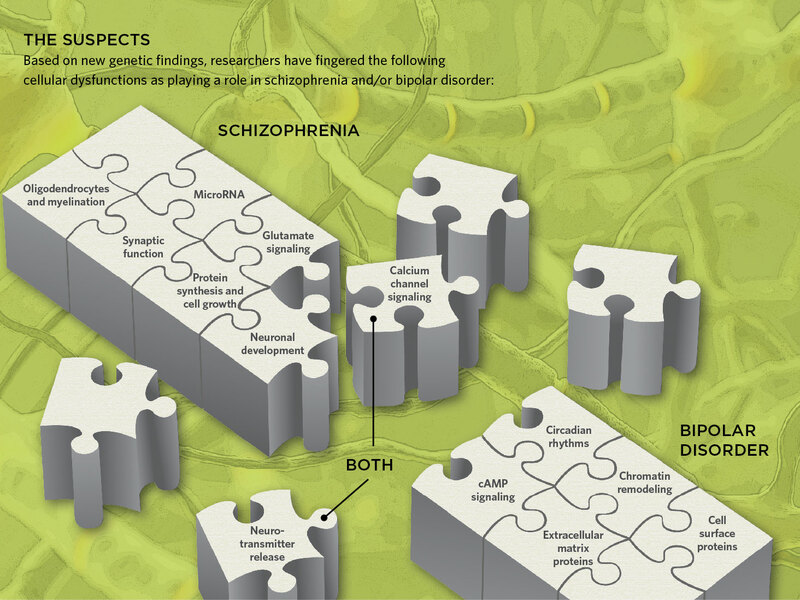 Within the family, geneticists identified a gene they named Disrupted in Schizophrenia-1 (DISC1) that appeared to be associated with risk of developing the disorder. DISC1 encodes a protein with numerous functions, including key roles in neuronal development. But despite the name given to the gene, family members did not just suffer from schizophrenia, but also from bipolar disorder and depression. It was one of the first hints that psychiatric diseases, which share many symptoms and often overlap in patients, might also share underlying genetic mutations. Two of the shared SNPs that popped out were variations in genes that encode subunits of calcium channels, which are crucial for neuronal communication, synapse function, and the release of neurotransmitters. A pathway analysis also showed that calcium-channel signaling genes were significantly involved in all five disorders. It could be that disrupted neuronal communication is the foundation for the development of these psychiatric illnesses. T. Walsh et al., “Rare structural variants disrupt multiple genes in neurodevelopmental pathways in schizophrenia,” Science, 320:539-43, 2008. R.A. Yeo et al., “The impact of copy number deletions on general cognitive ability and ventricle size in patients with schizophrenia and healthy control subjects,” Biol Psychiatry, 73:540-45, 2013. Y. Hakak et al., “Genome-wide expression analysis reveals dysregulation of myelination-related genes in chronic schizophrenia,” PNAS, 98:4746-51, 2001. A. Goudriaan et al., “Specific glial functions contribute to schizophrenia susceptibility,” Schizophr Bull, doi: 10.1093/schbul/sbt109, 2013. A. Serretti et al., “Genetic dissection of psychopathological symptoms: insomnia in mood disorders and CLOCK gene polymorphism,” Am J Med Genet B Neuropsychiatr Genet, 121B:35-38, 2003. F. Benedetti et al., “Influence of CLOCK gene polymorphism on circadian mood fluctuation and illness recurrence in bipolar depression,” Am J Med Genet B Neuropsychiatr Genet, 123B:23-26, 2003. K. Roybal et al., “Mania-like behavior induced by disruption of CLOCK,” PNAS, 104:6406-11, 2007. G. Costain et al., “Pathogenic rare copy number variants in community-based schizophrenia suggest a potential role for clinical microarrays,” Hum Mol Genet, doi: 10.1093/hmg/ddt297, 2013. G. Costain et al., “Evaluating genetic counseling for individuals with schizophrenia in the molecular age,” Schizophr Bull, doi: 10.1093/schbul/sbs138, 2012. Cross-Disorder Group of the Psychiatric Genomics Consortium et al., “Identification of risk loci with shared effects on five major psychiatric disorders: a genome-wide analysis,” Lancet, 381:1371-79, 2013. Cross-Disorder Group of the Psychiatric Genomics Consortium et al., “Genetic relationship between five psychiatric disorders estimated from genome-wide SNPs,” Nat Genet, 45:984-94, 2013.